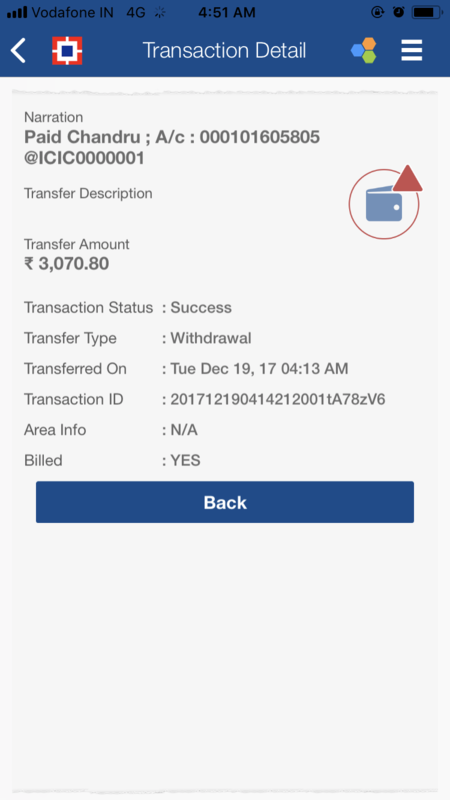 This is to bring to your esteem concern that I have wrongly transferred sum of Rs 3000/- to an wrong account no - 000101605805 by 4.13AM 19/12/2017, Kindly help me in retrieving the fund back from the account. Bank transaction ID- 735304833107 Correct Bank Account Number- 000101605808 Incorrect Bank Account Number- 000101605805 Bank IFSC Code- ICIC0000001 Beneficiary Name - Chandru But Hdfc payzapp team said, as the transaction has completed, they cannot raise the request and icici bank has to support. I visited both the banks on 21st december 2017 and told them the incident in details and i complained through letter regarding this issue. But no bank is ready to take the responsibility and solve the issue. Icici bank customer care gave me the details of account but said as hdfc is the initiator of the transaction; they have to raise the request. Hdfc bank said, as the transaction has completed, they cannot raise the request and icici bank has to support. Please help me and refund the money or at least contact to that person and ask him to send it back.